Teachers are also welcome to attend this course. Please note: Participants must bring an overlocker to the course. If you do not have an overlocker one overlocker will be available to book in some venues but this must be booked in advance will be on a first come first served basis. 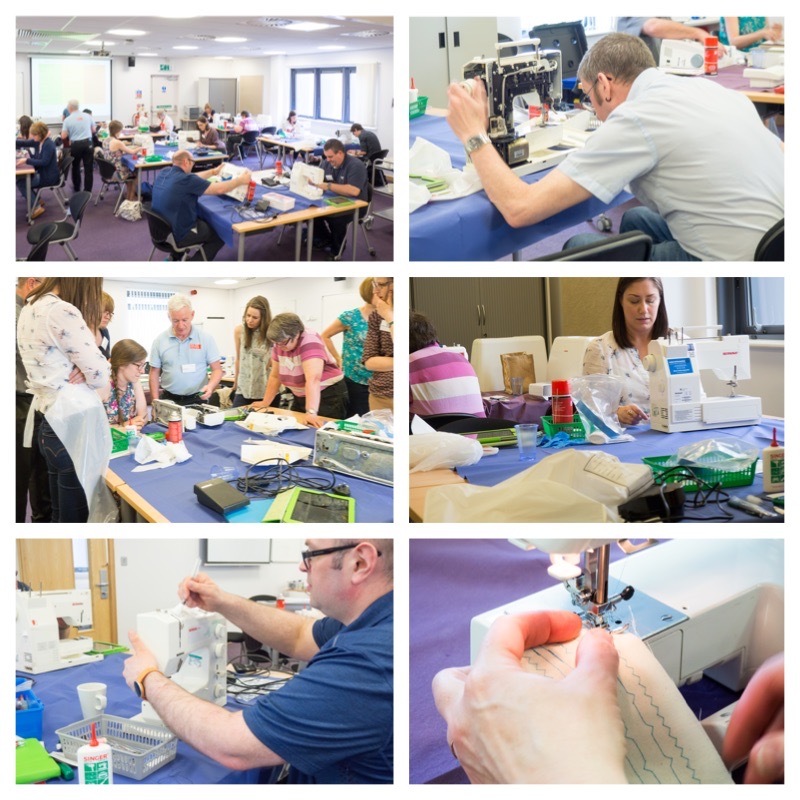 This CPD is aimed both teachers and technicians, looking to maximise their use of an overlocker in the classroom and understand more about their maintenance and safe use. An overlocker is a specialist piece of textiles equipment that gives a professional quality finish to textiles products, replicating shop bought products. For students, being able to use an overlocker in the classroom is a good way for them to learn about industrial practice, speeding up the manufacture of products and significantly improving the quality and appearance of classroom work. This course is hands on, with participants producing samples to take away with them for the classroom. Click here�to book.��Teachers are also welcome to attend this course. State funded schools & academies can apply for an Enthuse Bursary Award which pays the course fee.�Find out more. Sewing machines are a key tool in any textiles department and how well machines are working impacts both on the quality of outcomes students’ produce and the stress levels of the teacher. The amount, and type, of use machines get in a school environment means it is important regular maintenance and servicing takes place but this can be expensive. There are less and less companies available to carry out this type of servicing which can make finding a reliable and reasonably priced company a challenge. In addition, a department may have to save machines that aren’t working until there are several to make it worth while getting them repaired, all of which impacts on the classroom and learning with machines being out of action. How would you like to save money on your sewing machine servicing, both in terms of reducing the frequency of servicing, along with reducing costs of servicing itself? Did you know that you should lift the presser foot when you thread the needle as this makes the thread sit correctly between the tension dials and makes it less likely you will get a bird’s nest of clogged thread at the beginning of your sewing? Have you ever spent ages changing needles, threads and the tension trying to work out why a machine is skipping stitches? 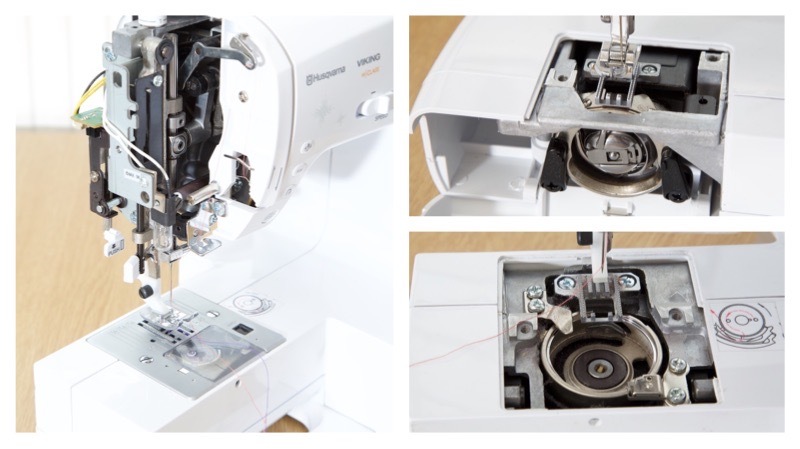 Did you know that if the metal surface of the hook where the bobbin sits inside your sewing machine is even slightly scratched it can prevent stitches forming correctly? All of these things, as well as much more will be will be covered on the textiles technician course�including electrical safety, dust control, guidance on risk assessment as well as how to use any funding for new machines in the best way. No previous experience is necessary and technicians will return to their schools confident about making a start straight away back in school both in terms of servicing machines, as well as with day to day maintenance and trouble shooting in between services. There will be a range of supporting resources included as part of the course including all of the tools and equipment needed to get started. A well thought out day full of advice and learning catering for all levels of previous knowledge. (Note that we are delivering part of day 1 only. Click on the link above to visit the STEM Centre website for�full details of both days).